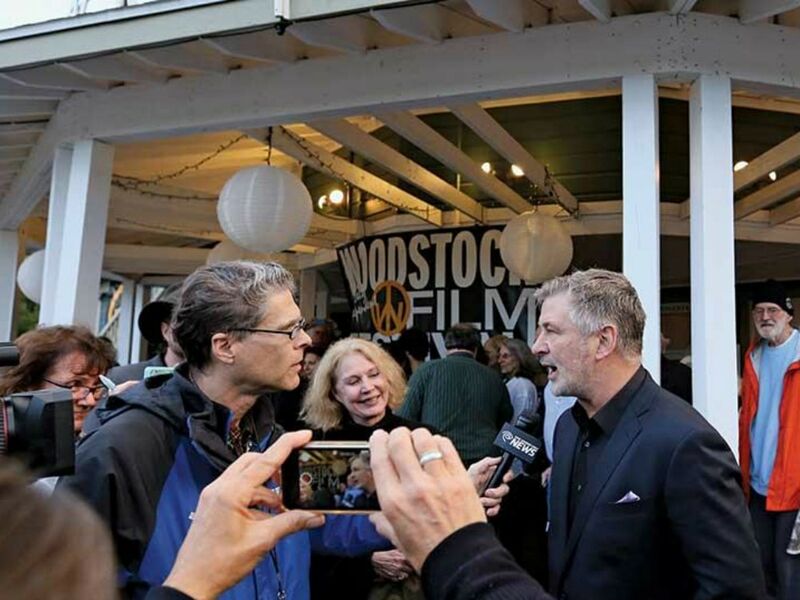 Since its inception in 2000, the Woodstock Film Festival has grown into one of the most respected and visible showcases of independent cinema in the world. The inaugural festival was a modest affair, heavy on workshops and documentaries, in a town previously known primarily for its music legacy. Now entering its 19th year (taking place from October 10 through 14), Woodstock Film Festival has long outgrown the confines of its namesake town and spread to various corners of the Hudson Valley, with events and screenings in Kingston, Rhinebeck, Rosendale, and Saugerties, in addition to Woodstock. It boasts an advisory board of respected artists, industry leaders, and movie stars—everyone from Oscar-nominated producers Ted Hope (Amazon Studios) and Christine Vachon (Carol) to filmmakers Joe Berlinger (Paradise Lost) and Griffin Dunne (Joan Didion: The Center Will Not Hold), not to mention actors like Melissa Leo, Ethan Hawke and David Straitharn. As a regional festival, it’s a juggernaut in a county where the film production economy is exploding, thanks to the recent expansion of the Upstate Film Tax Credit program. Recent horror hits A Quiet Place and It Comes at Night were both filmed here (in New Paltz and Woodstock, respectively), and this fall will see the release of Robert Zemeckis’s Welcome to Marwen, starring Steve Carell as Kingston artist Mark Hogancamp. It’s a great time to be a filmmaker or cinephile in Ulster County, thanks in part to the trails blazed by Woodstock Film Festival. Blaustein, a filmmaker herself, co-founded Woodstock Film Festival with Laurent Rejto, now commissioner of the Hudson Valley Film Commission. Over nearly two decades, they’ve nurtured the festival into a must-attend industry event, showcasing narrative features that have gone on to become award winners (The Imitation Game) and box office hits (Up in the Air) while providing a venue for exciting new voices (Debra Granik, Rebecca Miller) and hard-hitting documentaries (Chasing Ice, Marwencol). 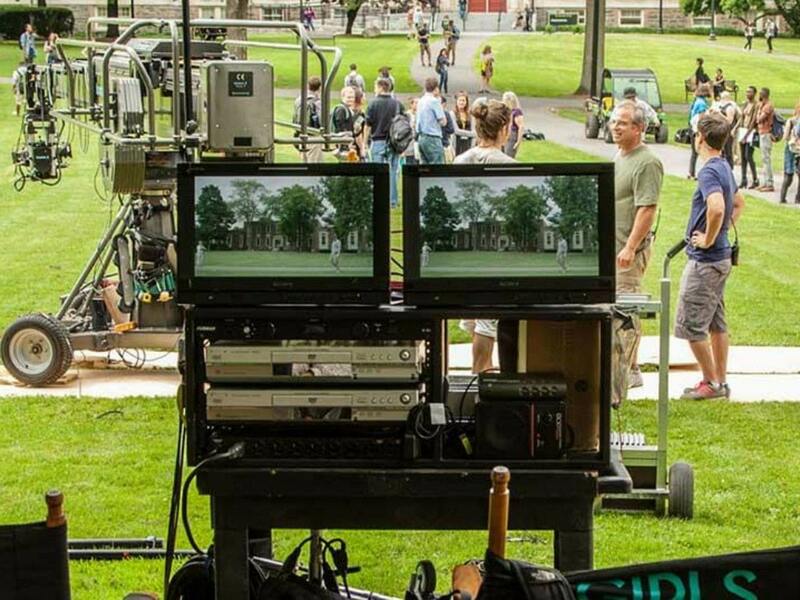 As the festival has grown, so has the film industry in the Hudson Valley. Many an independent festival has eventually been swallowed up by Hollywood’s awards machine, becoming little more than a calculated pit stop for studios on the road to Oscar gold. The danger in the kind of success and growth Woodstock Film Festival has experienced is sacrificing identity for prestige and trading risky, unknown artists for proven star power. Blaustein is acutely aware of this dance, and she and Rejto have been careful to stay true to themselves and their peers while welcoming growth and allowing the festival to evolve organically. “For the 2017 edition, the programming was eco-friendly, class-conscious, gender-aware and racially sensitive—a fitting environment for the handful of host towns surrounding the area,” Variety wrote last year. Though she wouldn’t reveal details, Blaustein said this year’s festival would continue its “fiercely independent” tradition of showcasing work by both emerging and established artists, as well as workshops, panels, concerts and attractions—like the virtual reality lounge, which the festival added to the roster just last year. But the festival’s programming is only part of the equation; Blaustein and co. are driven by a sense of community and a deep love and respect for the region. They love Woodstock, they love Ulster County, and they love the Hudson Valley, and they feel a responsibility to the community that’s nurtured them.